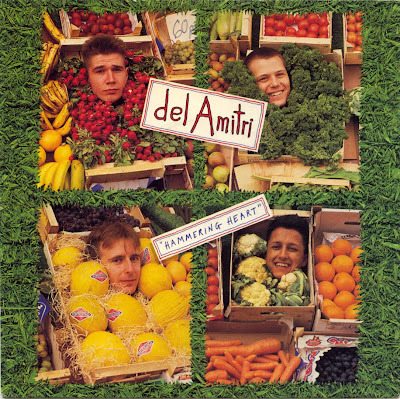 As promised, we're skipping back in time from the debut of the re-tooled, modern-rock Del Amitri with Waking Hours in 1989, to the debut of the original, alt-coustic, small-d del Amitri in 1985. Actually, in this brief five-song installment, we're going back even further than that, to the band's indie-label first single from '83, Sense Sickness b/w The Difference Is. The latter song was re-recorded as a b-side of the Hammering Heart 12" single, but that was later appended to the excellent Superfecta reissue of the first album along with three other b-sides (two originals and a cover of "Brown Eyed Girl") which are therefore not included here. However, the A-side of that 12" was a hot, re-recorded version of Hammering Heart, which was not included on the cd reissue, so it is here! Perhaps the rarest track here is "Out In The Wind", which appeared only on a 12" single included with an issue of UK music rag Record Mirror, and seems to date from the period of the first album or just after. The final song here is the very silly "Charlie's Bar", a free fan-club flexi-disc Christmas record from late 1986. Intriguing and fun but not necessarily good for too many repeat listens, maybe just once a year around the holidays. Just like the Xmas records the Beatles used to make! The band's sound at this point was kinetic and original, with intersecting, angular acoustic guitar lines that always remind me of a folkier, more melodic -- and romantic -- version of Television, as I said in my last post. I should note that, in addition to Justin Currie and Iain Harvie (the only two permanent Dels), the band members during this period included Bryan Tolland playing one of those interesting, intersecting guitars and the convivial Paul Tyagi on drums. Credit is also due to the band's early manager, Barbara Shores, for working diligently to build them a fan base both in the UK and in the States, where they did a fan-sponsored "Whistle Stop Tour" in the summer of 1986. I was privileged to attend the band's very first American concert at Maxwell's in Hoboken, as well as receive lots of correspondence and free goodies from the band back in the day. Thanks Barbara! Wherever you are, this installment of The Rare Stuff is dedicated to you! I'm trying to put together the most comprehensive list of music blogs which feature out of print or otherwise unavailable music, as well as those which share podcasts, or sample mp3 files. I've categorized them so that you can easily find exactly what you are looking for. If you would like to help me out, you can do so by linking back to my blog. Although it isn't required in order to be listed, I would greatly appreciate it. If you would be willing to mention the blogroll in a post that would be fantastic also. Thanks for all the hard work and time that goes into maintaining this blog, and especially for the fantastic music you share. Take care. Thanks for all this amazing stuff of Del Amitri, I can't wait for the next stuff! I met Barbara several times at dels (they will always be lower case D to me) gigs in the mid eighties. She was very nice and even arranged for us to support the dels at a couple of gigs. Unfortunately the gigs were cancelled, so that never came off. I love your description of their sound during this period. Exactly how I would describe it. I believe Bryan was intrinsic to this sound, with his almost classical guitar, so on their re-emergence I had mixed feelings when I found he had been dismissed. I have a track on a fanzine tape (Abigail's Party) which I bought at a gig at the Marquee, London. It has a del's track which is probably called The Nurse and the Incurable Man. Sadly the sound quality is very poor. I loved this track and wondered if you had a copy. Great site. I look forward to reading more. is there any way you could re-upload this one? I would absolutely love to hear it, but as you know Megaupload is down. Wow! How to get these treasures? Please! Megaupload is dead! 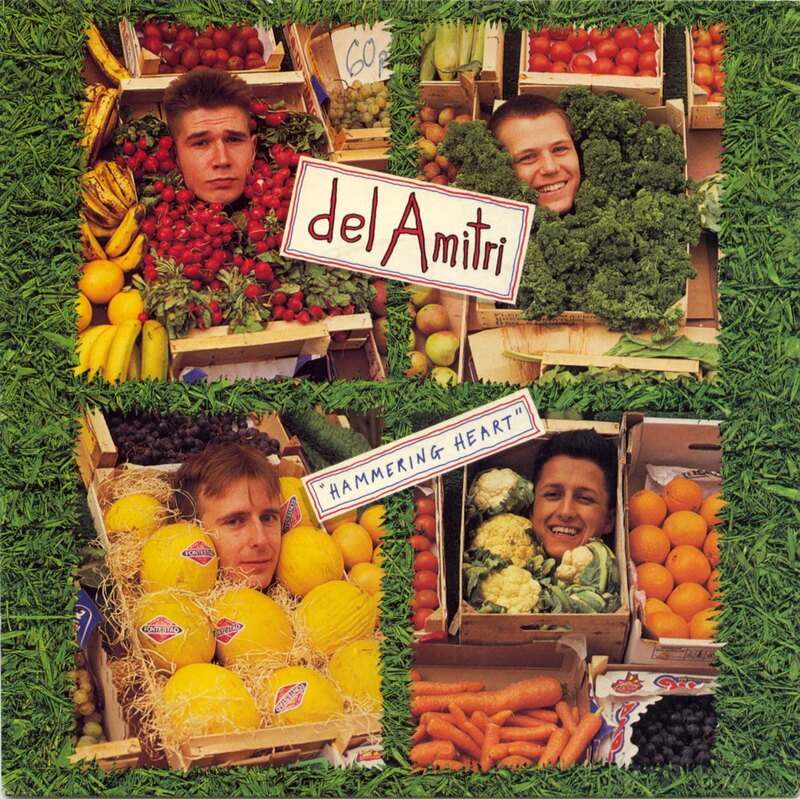 Please reupload Del amitri on rapidshare or Depositfiles!